Well the time has come for yet another update. I am just 10 months past the surgery and I'm feeling pretty meh about how the recovery is going. I guess my title pretty much sums my feelings up. I'm definitely stronger than I was even a couple months ago but at the same time I also feel like I'm stalling out. And in truth I probably have a bit but that's not because of a lack of trying but more of a a case of medicine side effects. So I have extremely high cholesterol. My doctor has deemed it to be genetic because it would be somewhat insane for my cholesterol to be so high at the age I am. So after talking about it, we decided to give medicine a try because with my history of gestational diabetes I am at a higher risk of stroke. But I'm limited to what kind of cholesterol medicine I can be on because I had issues before with my memory and focus and just my mind in general. So about a year ago before my surgery - before I dislocated my knee - I started on this current cholesterol medicine and have been on it since. 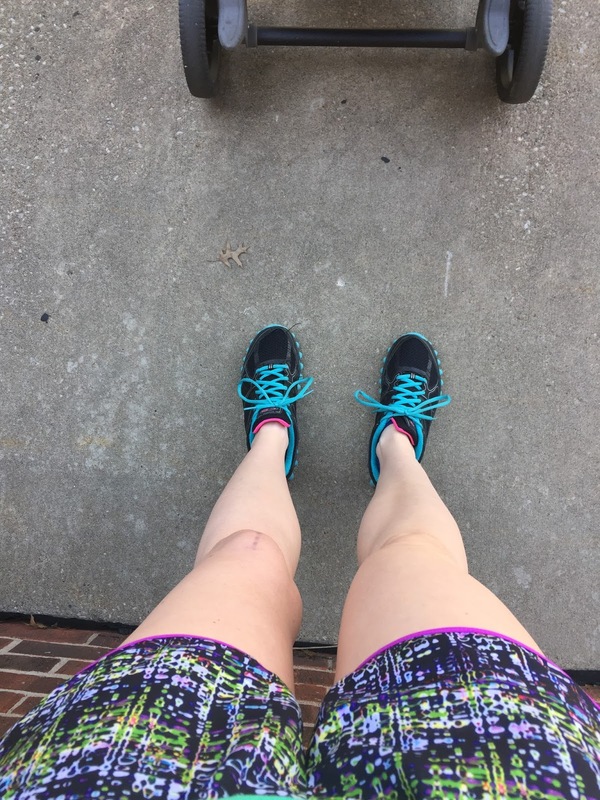 Since being discharged from PT and cleared by the doctor to go back to life as normal (being told to do running, jumping, and just general exercise as I feel comfortable and ready) I have felt like I have stalled out as far as my knee getting stronger. So since about March I have been frustrated with the progress of my knee. In August I went to my doctor for my regular checkout and she asked me about my knee. Truthfully I don't think I would have talked to her about my knee had she not asked, but since she did I told her how my leg had been cramping a lot lately. I couldn't go comfortable and my quad muscle was almost constantly cramping. I also talked to her about how tired I had been lately. I was just feeling worn down and was easily exhausted by every day tasks. She sends me to do blood work and sure enough something came up. Almost everything was normal except for my CK levels. Basically this is a muscle enzyme in my blood which causes cramping, muscle fatigue, among other things. It also impacts the way your muscles heal. The causes of elevated CK levels is surgery, heart attack, stroke, and cholesterol medicine. Now you know why I bring up the cholesterol medicine. So after talking with the nurse, I go off the cholesterol medicine for two weeks to see if the cramping stops. And sure enough it did. So we decided to try lengthening out the time between taking the medicine - so every other day unless the cramping starts again then every three days and so forth. I am currently at every four days and that seems to help keep the cramping at bay. Not to say that the cramping in my leg is completely gone all the time but it's much better and way less. It's definitely manageable and I'm still figuring it all out so there's that. As far as my recovery progress goes, I still feel stalled. My leg doesn't give out of my too much, there doesn't seem to be any kind of pattern to when or why it gives out. I am jumping again, however I do tend to push off harder from my right foot. I'm working out with a knee brace which I love because it was so hot with that on all the time. My knee hurts a lot when the weather changes, and I never feel like I can get a good stretch on my leg which truthfully drives me crazy. As far as running I'm still working on it. I can do a small jog in place but pushing off and pushing forward is scary. I tried running the other day - on the carpet with nothing around in case I fell - and I was sure that every time I either pushed off with my left or landed on my left I was going to fall. Apparently my running is still limited - I don't like running anyway but I would like to be able to do it again someday. I am able to exercise normally again which I love. It takes a bit for my knee to stop hurting when I started working out because it just hurts when I start but I can do just about everything without problems. I struggle with some moves like lunges and such but I'm working on it every day. So that's where I am. 10 months out and I don't feel much farther along than the last time I wrote an update. Kind of a depressing thought honestly but I'm trying. Most of the time I don't know if I should be doing less or more, but at least I'm doing something. And we are working to get the cholesterol medicine figured out in order to normalize my CK levels which normalizes the healing process. Although I don't really feel like I'm moving forward most of the time, I'm doing something which is better than doing anything at all. So basically I'm just feeling meh about it all right now.